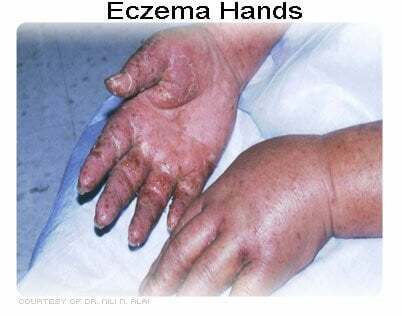 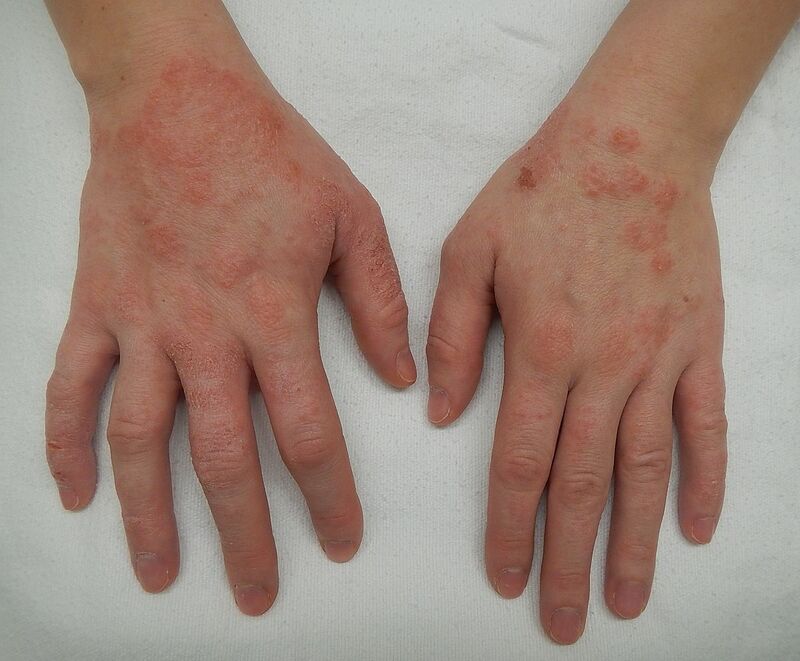 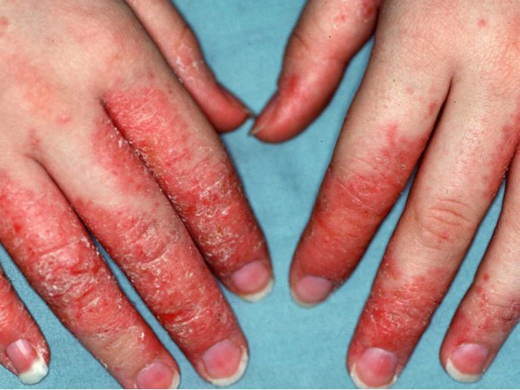 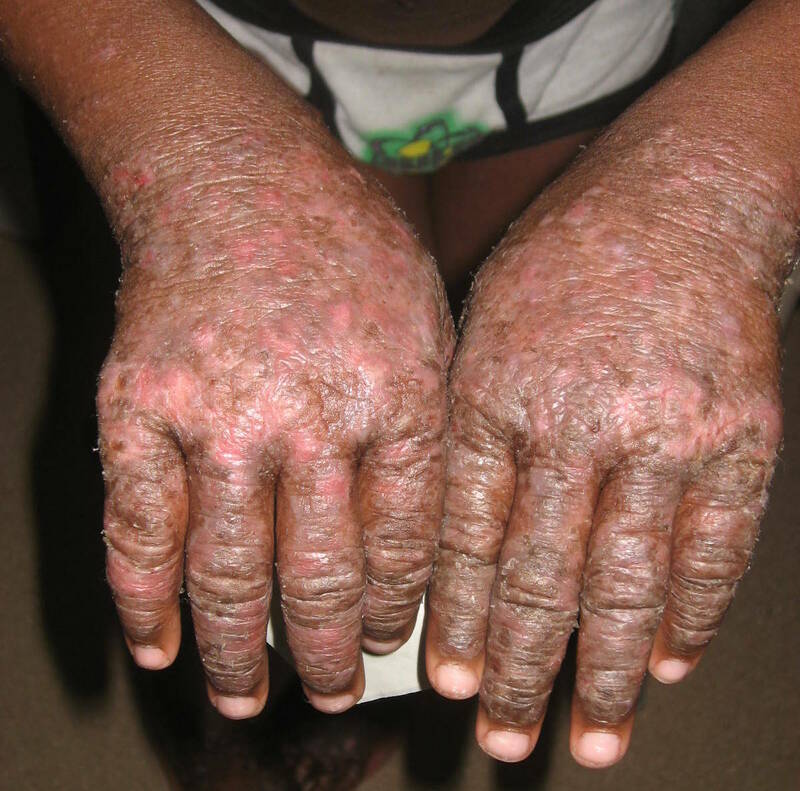 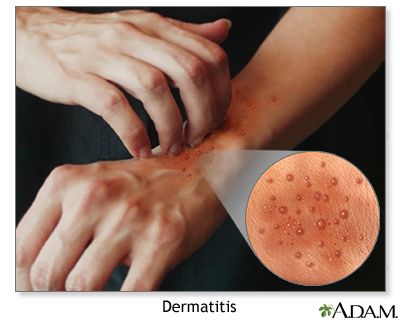 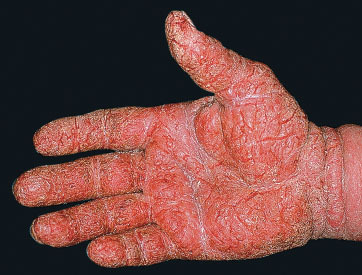 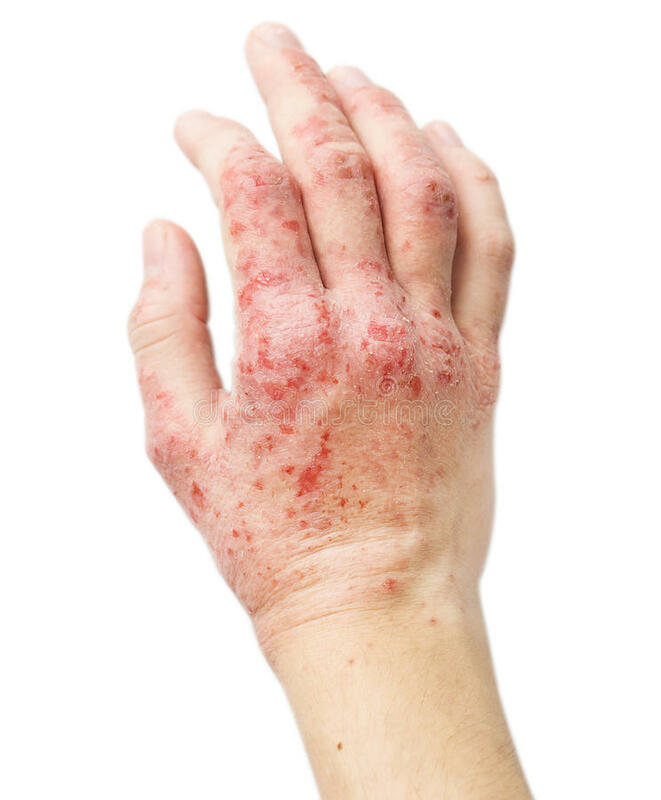 Atopic dermatitis (AD), also known as atopic eczema, is a type of inflammation of the skin (dermatitis). 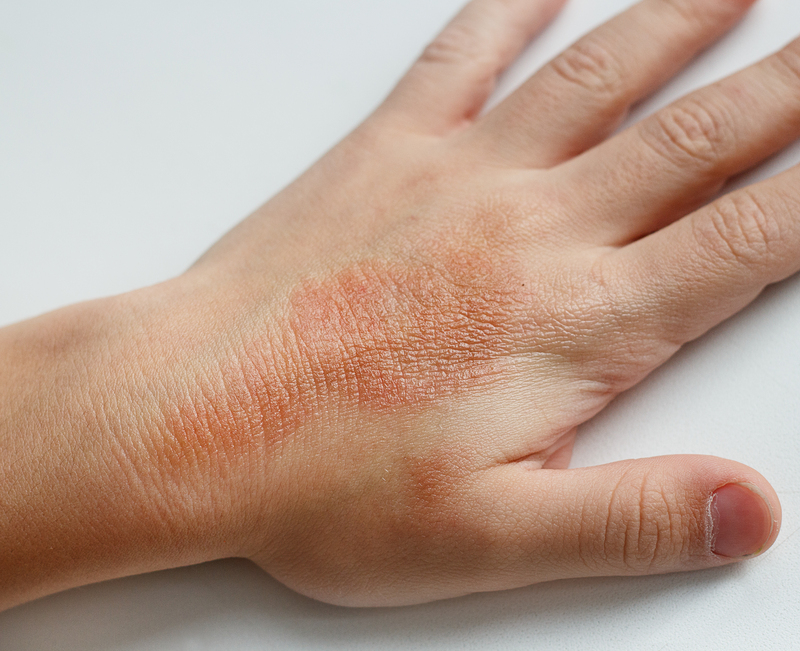 It results in itchy, red, swollen, and cracked skin. 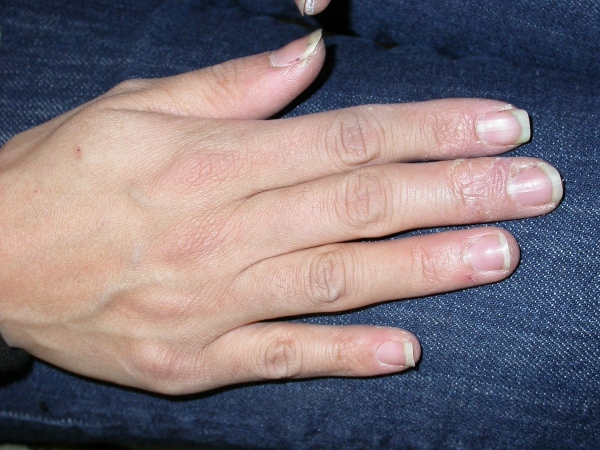 Clear fluid may come from the affected areas, which often thickens over time. 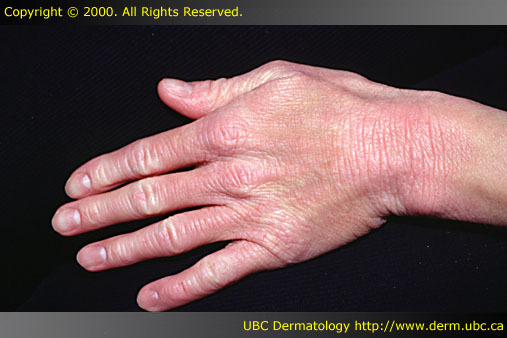 While the condition may occur at any age, it typically starts in childhood with changing severity over the years. 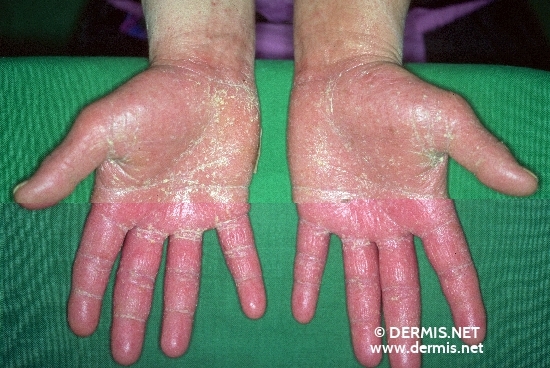 In children under one year of age much of the body may be affected. 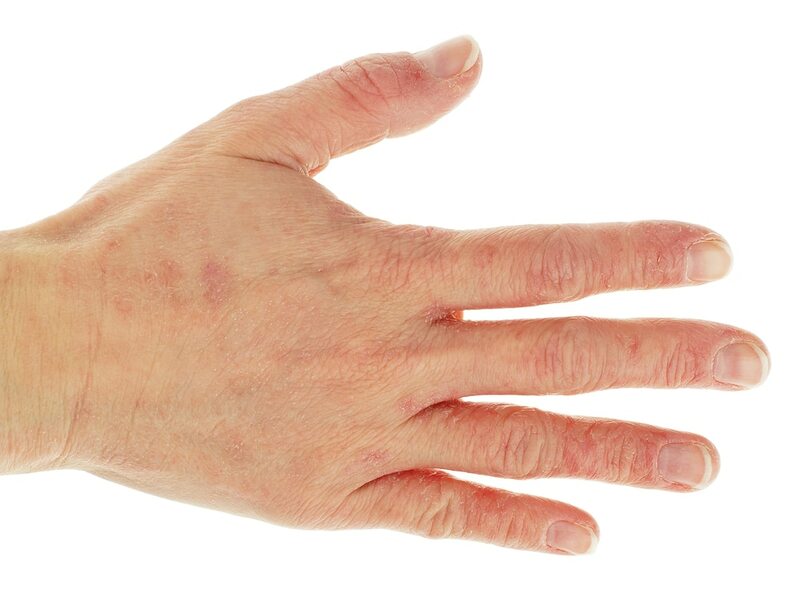 As children get older, the back of the knees and front of the elbows are the most common areas affected. 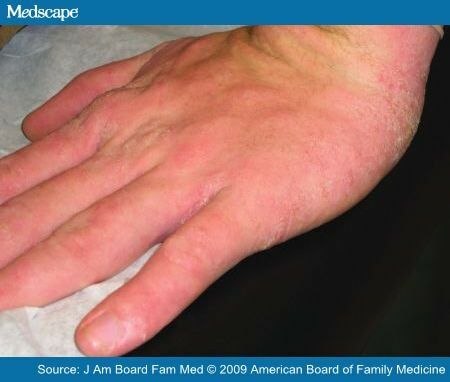 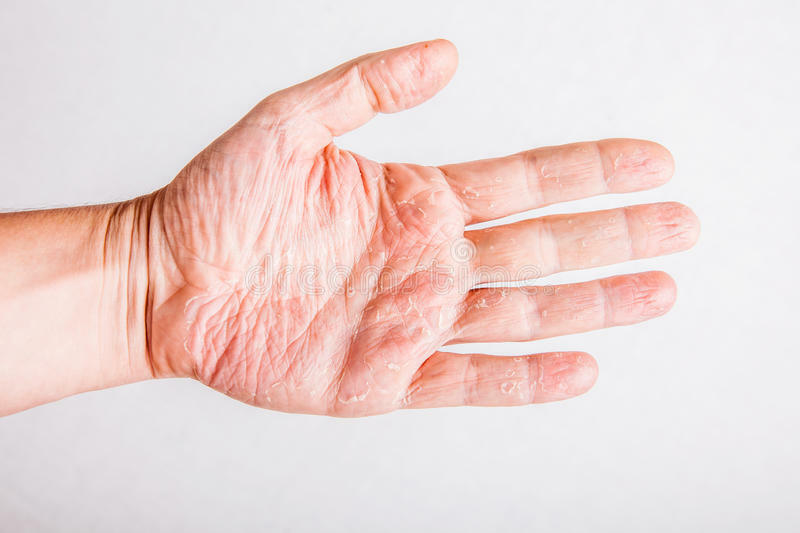 In adults the hands and feet are the most commonly affected areas. 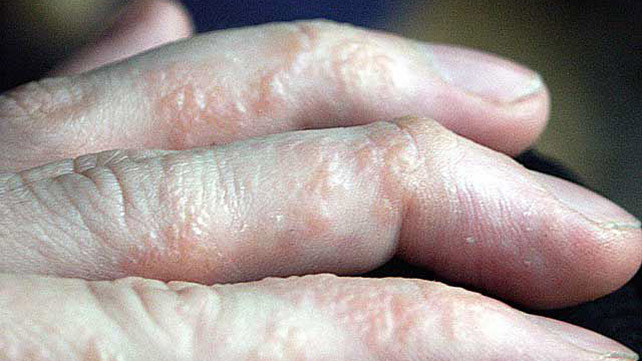 Scratching worsens symptoms and affected people have an increased risk of skin infections. 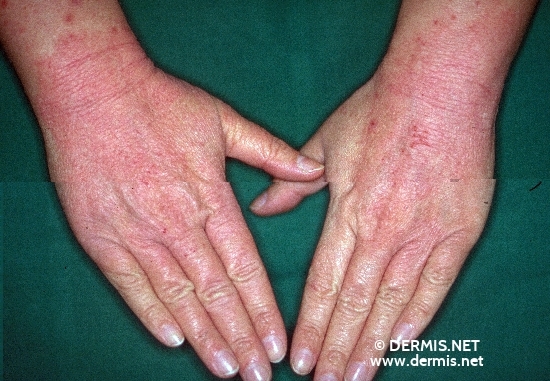 Many people with atopic dermatitis develop hay fever or asthma.